With the cold weather season in full-effect, we’re fully into the off-peak moving season. If you have the flexibility and choice of when to move, fall and winter is considered to be some of the best times to move. Why? Because you can not only save some money but even save yourself some time! 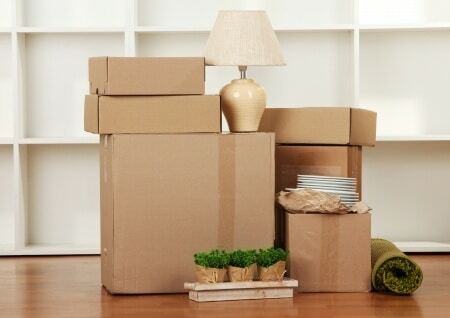 Here are some of the advantages of moving during the off-peak moving season. It’s generally known that moving companies are tremendously busy in the spring and summer seasons and moving rates tend to change to meet the supply versus demand issues. Moving in the fall and winter seasons can get you a considerable reduction in moving fees. Plus, if you move mid-week on a Tuesday or Wednesday in the middle of the month during less busy-periods, you could see even better prices. Many movers have price models that work this way which can work in favour for you. Every bit of savings count in a season that tend to be full of expenditures from the holidays, winter getaway trips and more! When you move in off-peak seasons, you’re within a minority in comparison to the other seasons, meaning your local moving company will have less moves planned in a day and will be able to concentrate their efforts onto your move even more so than usual. Less demand means you can not only expect better service but the choice of moving days and time slots will play to your advantage too. Move out comfortably without a rush, at a time of your choosing. Are you thinking about moving any time soon? Considering a move during an off-peak season may be the right move for you. Get in touch with us today for a free quote.